Legends & Light: an afternoon of music for large forces. 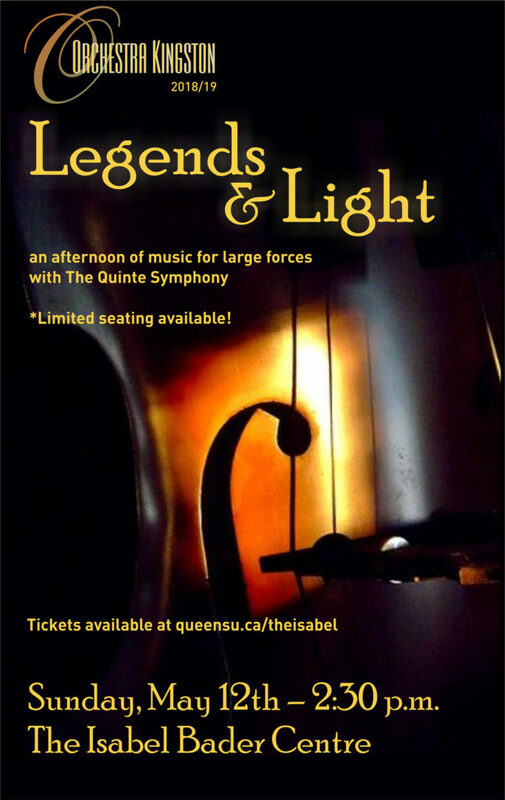 Orchestra Kingston joins forces with The Quinte Symphony to present Legends & Light: an afternoon of music for large forces. The programme will include oft-performed works by Wagner, Rimsky-Korsakov, Tchaikovsky and Mendelssohn, among others, as well as an original composition by Orchestra Kingston’s own music director, John Palmer. Tickets are now available exclusively through the Isabel Bader Centre website. Seating is limited: Get your tickets today!